Rosseto BAK2937 Two-Tier Acrylic Bakery Display Case - 16" x 18" x 14"
Rosseto BAK2944 Three -Tier Acrylic Bakery Display Case- 16" x 23" x 19"
Rosseto BAKST2248 Flip Door Acrylic Dome Bakery Display Case - 18 7/8" x 16 1/2" x 9 7/8"
Clean, polish, and even restore your plastic and acrylic displays back to their original, crystal clear shine with this Novus complete plastic polishing kit! This complete plastic polishing kit is a must-have for any acrylic food bin, bakery display, or countertop merchandiser. 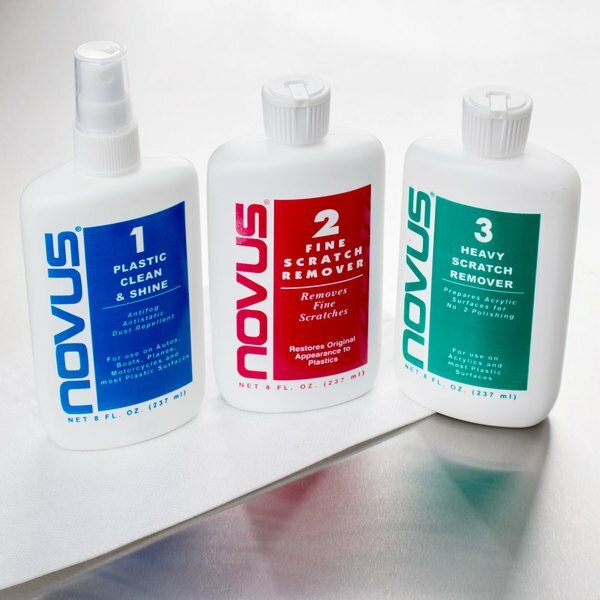 It includes Novus's complete 3-step formula to help you maintain all of your plastic surfaces, and for your convenience, two heavy-duty polishing cloths are included as well. With this kit, you'll be able to put all the attention on your foods and not on unsightly fingerprints or scratches. 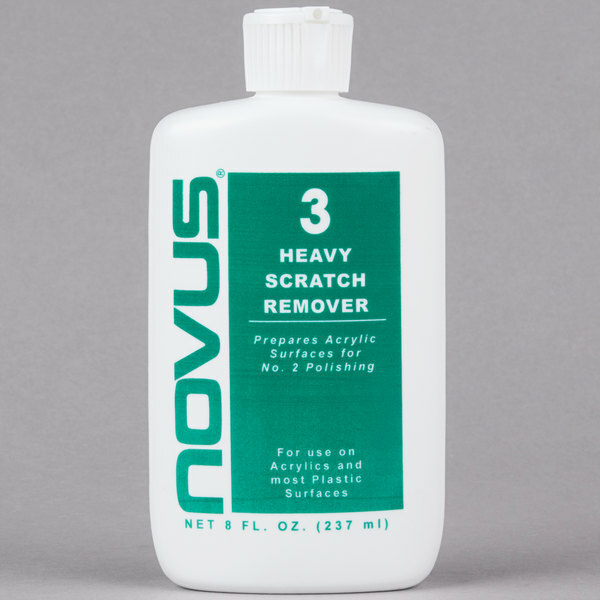 "Novus plastic cleaner, polisher and scratch remover kit is a must have. We keep our pastry warmer pristine with these products. Easy to use also." 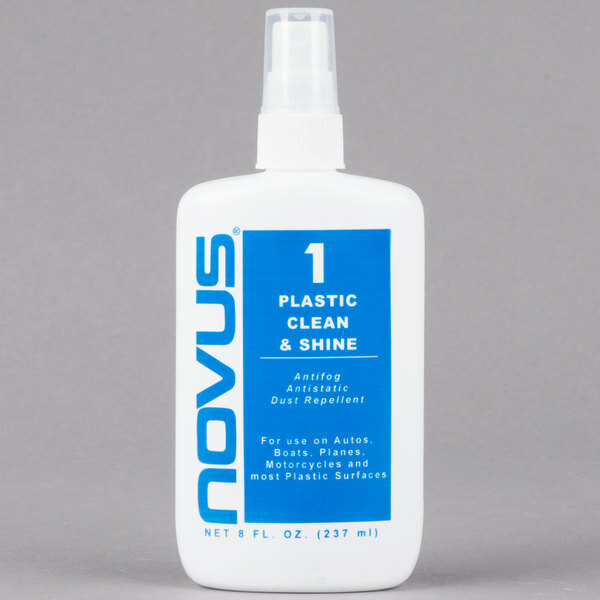 Novus #1 cleans, shines, and protects plastic and acrylic surfaces, and it's gentle enough for everyday use! It provides an anti-static, dust-resistant coat that keeps plastics looking shiny and new. Use the #2 formula to remove fine scratches and restore faded or discolored surfaces. For best results, use Novus #1 after you've removed any blemishes with Novus #2. 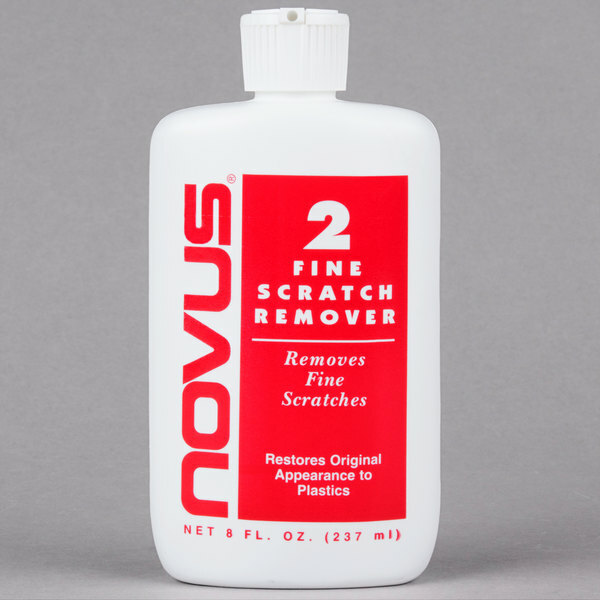 The Novus #3 was created to remove the heavy scratches that the #2 formula can't get out. It is meant for acrylic surfaces, and is not recommended for coated plastics. Always follow #3 with #2, and then use the #1 to complete the process. All of these great products are specifically designed to give your acrylic display stands and display cases an attention-grabbing glimmer! 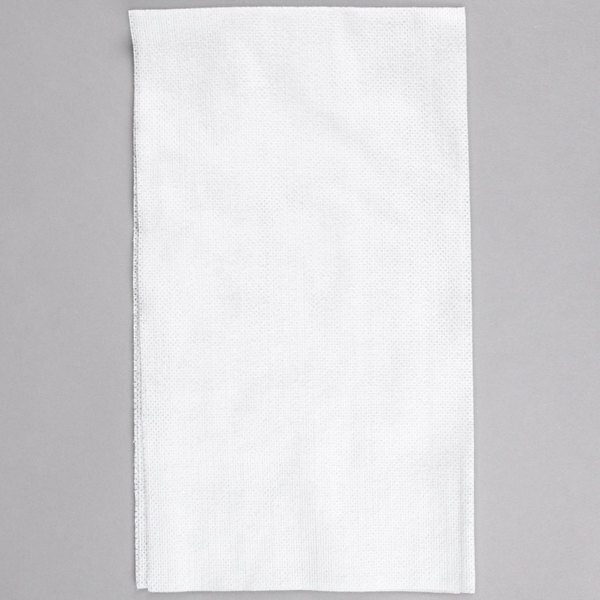 They're ideal for high-traffic hotel buffets and caterers who are constantly transporting their equipment and exposing it to possible damage. 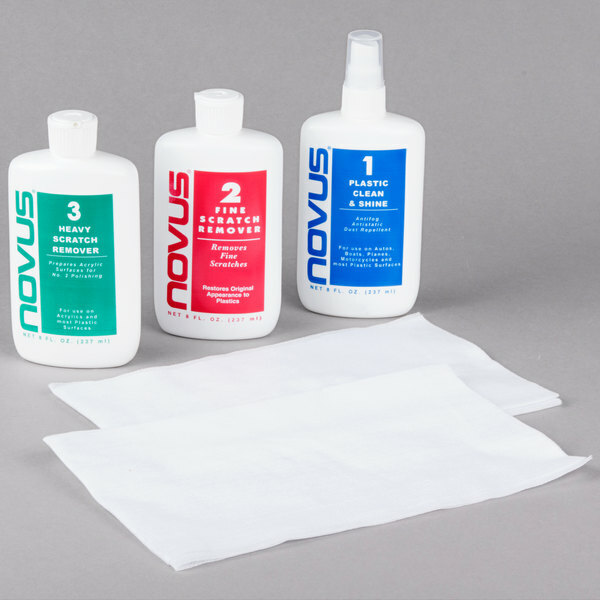 Novus plastic cleaner, polisher and scratch remover kit is a must have. We keep our pastry warmer pristine with these products. Easy to use also. This set of cleaner, polisher, and scratch remover products work great on my bakery display cases. Each product does just what it is supposed to and they are easy to work with. The included cloth is super helpful! This is a good product that will shine plastics well, but it will not get rid of deep scratches, which is what should logically be expected. If you use this product with a high RPM buffer, your chances of removing deep scratches is improved, but bear in mind that in order to buff out a deep scratch, you must remove a depth of plastic equal to the depth of the scratch, which may cause irregularities in the surface. Still, it will make a worn plastic item look more pleasing even if deep scratches remain. I used it on a turntable dust cover. This product is basically like sandpaper for plastics. Each numbered bottle is like a different grit of sandpaper, number 3 is like coase sandpaper, start here for heavy scratches. Move to number 2 to for finer scratches, finish with number 1 to buff out the finest scratches. 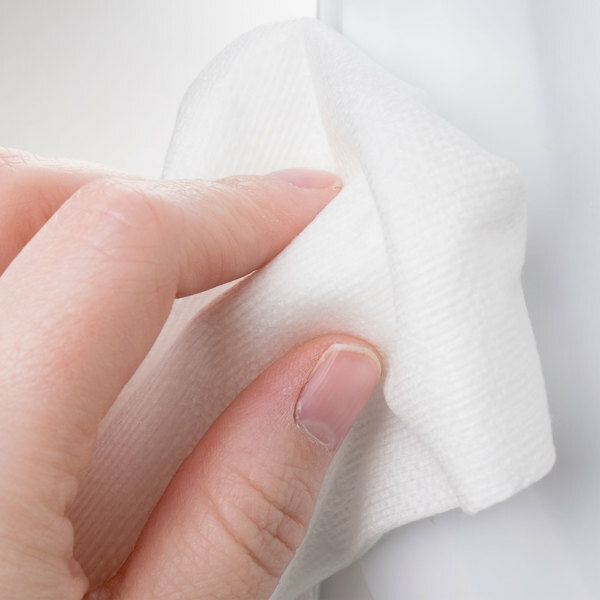 Getting associates to use the correct cleaning items to clean acrylic surfaces can be a challenge. It's almost like they thought they should use steel wool to clean. Thankfully this kit will help reverse some of the damage they have done. Good product, but a little pricey for what it does. We recently used it to try and remove scratches on our pastry case trays and shelves with good results. My John Deere lawn tractor had scrapes and scratches along the hood. Ordered the polishing kit and did the 3,2,1 process. Wow! The results were amazing. Removed all scratches except a few deep ones and polished them down to be hardly noticeable. Looks new. Money well spent. Great product. This is a good kit for fixing plastic items that have minor scratches! Ive used this kit to fix foggy headlights on my car!! They look brand new! !